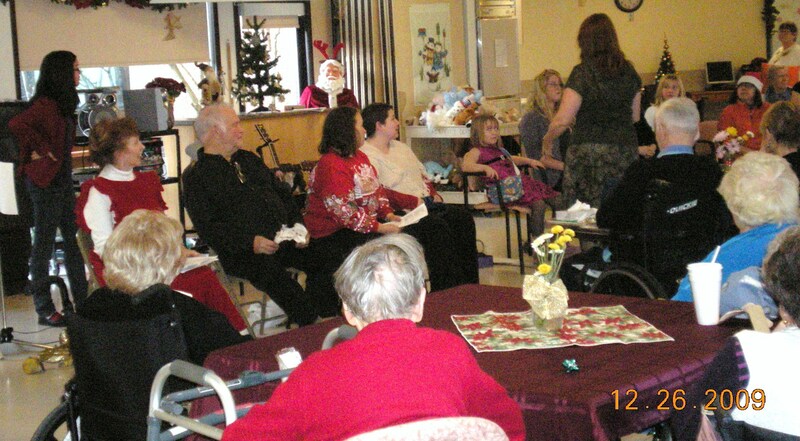 This is the third year that a few South End residents (and their friends) have provided an informal Christmas afternoon show at Dufferin Place, the extended care facility beside the hospital. This year we had some terrific music! Michaela Chan played the piano, and Dave Hart joined Sydney Robertson on guitar. 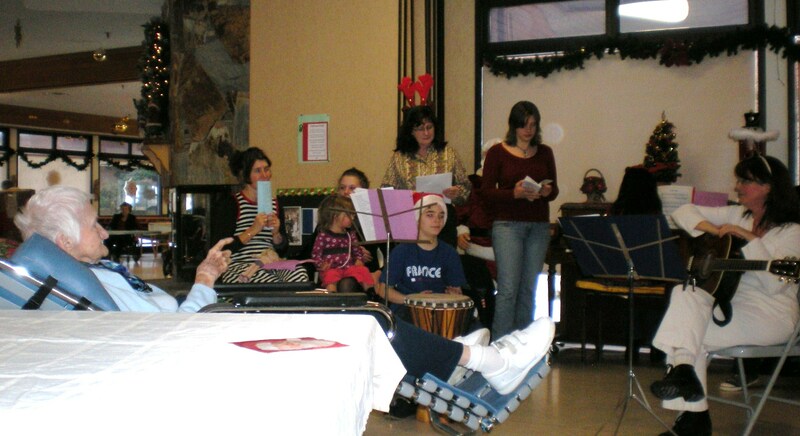 Ed Poli told a few of his famous Christmas stories. Maggie Wouterloot got us all organized, and Valorie (Claus) Lennox added a touch of elegance. Thanks to Annemarie Poli, Nico Gregoire, Linda Stedfield, and Belinda Chan for bringing up the chorus and taking part in a very interactive “Twelve Days of Christmas” routine. Santa (Bill Robinson) and Miz Claus (Barbara Densmore) showed up this year, along with Myrtle Claus, and a bunch of bags full of stuffed toys for the residents, thanks to the Nanaimo Toy Drive Folks. It was a wonderful afternoon! Thanks everyone for your generous hearts…!